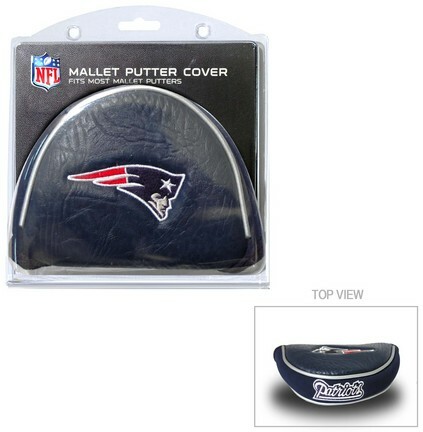 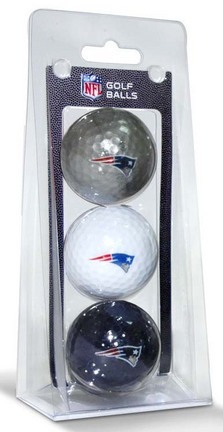 This stylish New England Patriots NFL cap clip makes finding your ball marker a breeze. 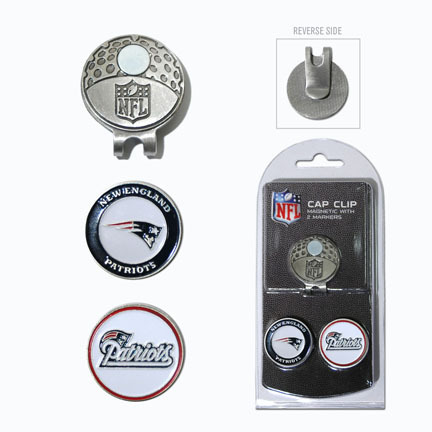 It easily attaches to any hat or visor and includes two double-sided enamel color fill magnetic markers. 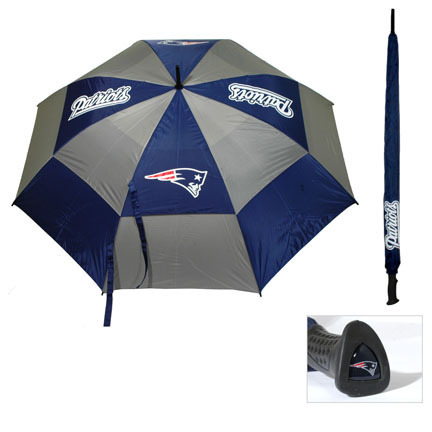 This 62"" NFL Golf Umbrella includes a double canopy design that can withstand strong winds, an easy grip handle, and four New England Patriots logo imprints and imprinted sheath. 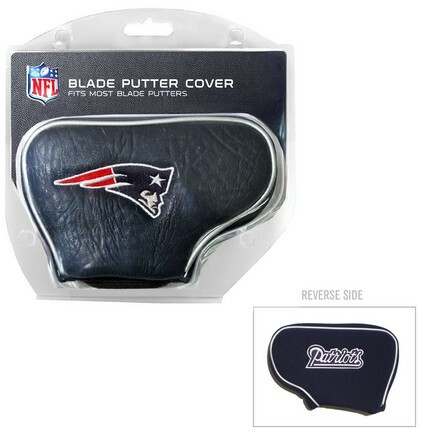 This NFL headcover fits all oversized clubs and is made of buffalo vinyl and synthetic suede like materials. 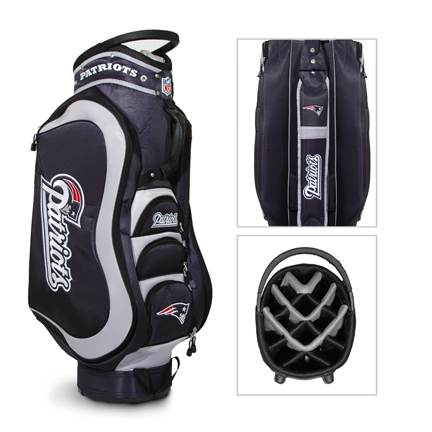 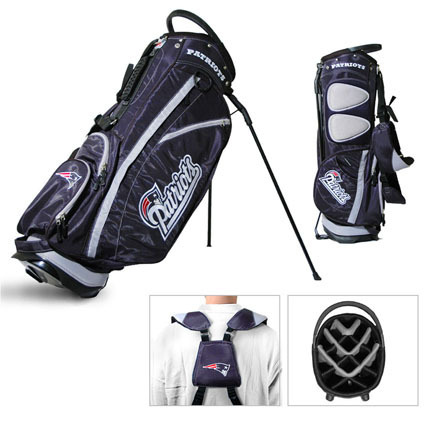 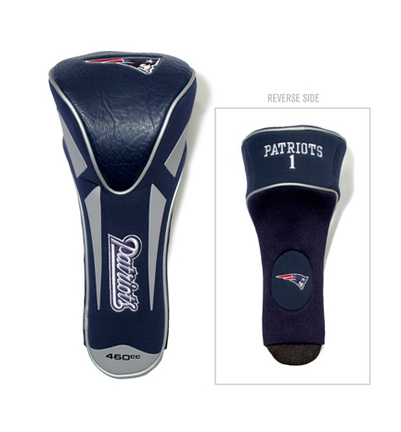 Four embroidered New England Patriots logos decorate this sleek headcover.